As people are beginning to consume more media outside the traditional living room, companies are coming up with new ways to display information. 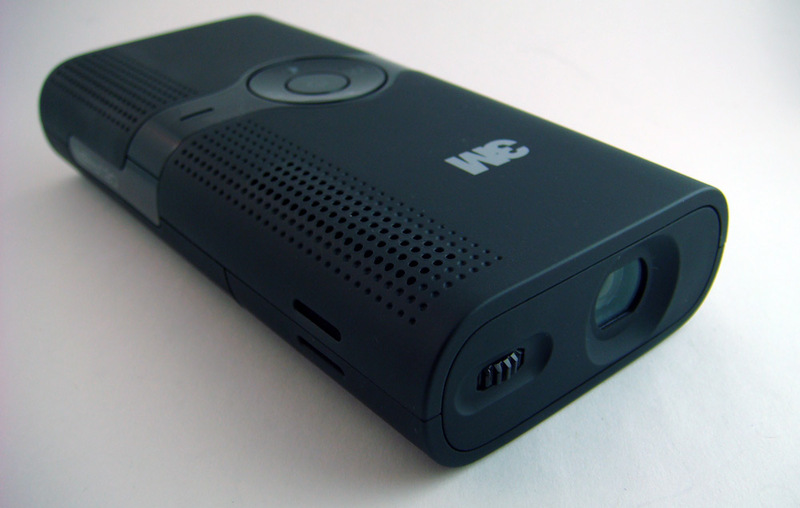 Pico projectors, also known as hand-held or pocket projectors, are an emerging technology that could be a potential solution. These extremely compact devices are very useful for various purposes from PowerPoint presentations to watching movies on a college dorm room wall. Even though pico projectors are still in their early stages, there are already some exciting new ways to use them. At TED India, Pranav Mistry demonstrated a mind boggling way of interacting with a virtual environment using a pico projector. While the technology sounds impressive, there are still issues such as image brightness and battery life. For anyone considering purchasing 3M’s M120Pro Pico Projector, here’s what it can and can’t do. The projector is quite small, about the size of two iPhones stacked on top of one another. Although probably a bit too large for a pocket, it can fit into a pair of baggy jeans. The main control panel is conveniently located on the top of the device and consists of volume, brightness, and power buttons as well as a battery indicator. Additionally, there is an adjustment dial next to the lens for focusing the projected image. Although the MPro120 is small, it does seem to be able to hold up well against a fair amount of abuse. 3M paid close attention to details when putting this device together. It feels sturdy and doesn’t suffer from having that cheap plastic feel that so many gadgets have. I really like that 3M included a screw-on tripod attachment for the projector instead of charging extra for it as an accessory. The tripod screws easily into the bottom of the projector and is helpful when giving an impromptu presentation or just showing friends a video or slides how. Unfortunately, the lack of internal storage detracts from its ultra-portable design, since users will need to plugin a Laptop, Netbook, or another portable device capable of video output. Fortunately, the newer MPro150 model, features 1GB of internal memory with expansion up to 3GB with a microSD card. It does come with a heftier price tag, which might be worth it, if having built in multimedia software is essential. The MPro120’s performance in terms of brightness and clarity is definitely impressive considering its ultra-compact build. With that being said, I don’t think it is worth the whopping $300 price tag. I mean, yeah it does the job of any projector, but because 3M tried to make it as small and portable as possible, they had to sacrifice a bit in terms of power. The projector uses a 12 lumens bulb, and while that might be good for a portable projector today and is 33% brighter than 3M’s previous generation of pocket projectors, it is definitely not a replacement for a heavy-duty one which generally uses about 2,500 lumens. While there is a marked improvement in terms of power and brightness when compared to previous generations, I feel that there is still lots of room for improvement. The projected image is about 45 to 50 inches when standing about 8 feet away from the screen in a relatively dim room. The image itself was strikingly clear for a pico projector. The size of the projection is impressive, but even on the highest brightness setting I had a hard time watching a video with my friends in my room. To my dismay, the projector simply didn’t have the power and brightness to display a 50 inch image and do justice to the movie at the same time. It’s only truly usable in a close to pitch dark room. Eventually, my friends and I decided that my 23 inch monitor was a better bet, even though the display size was about twice as small. I guess it all has to do with what you are looking for in a projector. Don’t count on it being practical to use in a standard florescent lit office setting. The picture will be barely visible. The MP120 has a proprietary connector on the back. 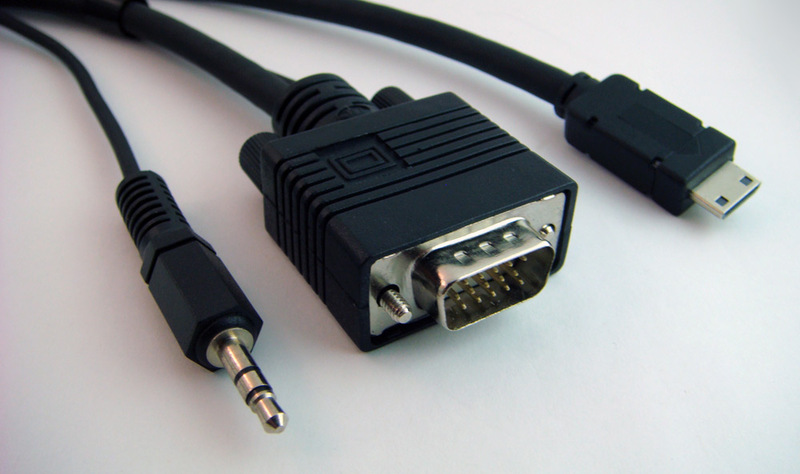 3M includes cables for VGA and composite in the box. 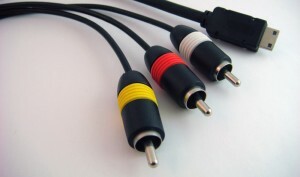 A component cable is also available through their website. It is impressive to see that such a small device can support so many inputs, but a HDMI port would have been even better. 3M also offers a special connector for the Apple iPhone and iPod Touch. The maximum supported resolution is 1280×800, which is decent resolution for presentations and videos. Even web pages should fit just fine. One of the more innovative features of MPro120 is its two built-in half-watt speakers. While adding these speakers was a good idea on 3M’s part, the quality was not good by any means. They are far from being a replacement for full-sized set of stereo speakers. I also noticed that the audio cutout at times and quality was spotty at best when set to the loudest volume setting. Another setback was the effect on battery life. While 3M says that the projector runs for up to 4 hours, I suspect that using the speakers at max output will probably drop that rating to 3.5 hours, maybe even less. To be fair, the built-in speakers do add to the portability to the projector. I imagine that if I were on the go and wanted to show my friends something quickly, convenience, not quality, would be my number one priority. Despite my complains, the built in speakers is a step in the right direction and future iterations will hopefully further improve audio quality. The MPro120 uses a rechargeable lithium-ion battery and boasts 4 hours of life under its normal brightness setting, and up to 2 hours under its brightest setting, both of which should be enough to make it through about one movie. 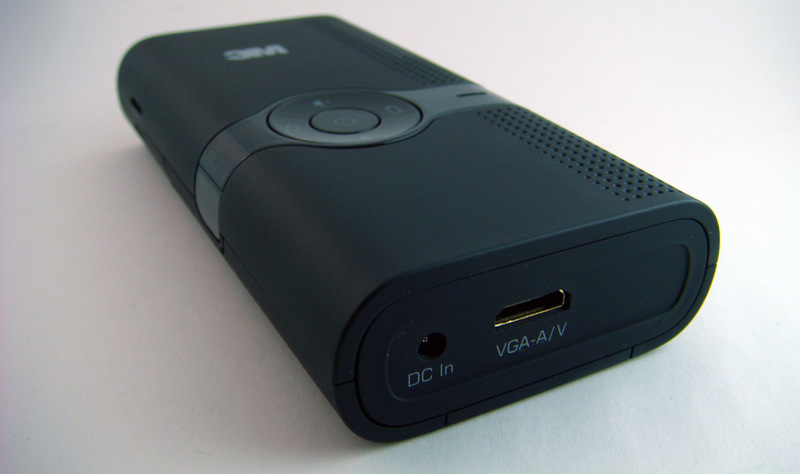 This is an improvement over most previous generations of pocket projectors and is a practical lifespan for most users. Additionally, 3M includes a variety of charging prongs for different worldwide regions such as the United States, United Kingdom, and Australia. This was a smart move, because it makes it easier for people who plan to travel with this unit. The MPro120 is admittedly a definite improvement over previous generation pocket projectors, which were bulkier, offered short battery life, and were even duller. However, I feel that the pico projector technology is still in early stages and lacks in power and quality for its current price point. While the picture clarity was surprisingly good for its size, it’s not comparable to a traditional TV or projector. The advertised 50-inch display only works well in a room with next to no light, which seems highly unreasonable for most situations. I guess it all ultimately goes back to the same old struggle of portability vs. power. When it comes down to it, those looking for an ultra portable projector won’t be disappointed with the pico projector if they understand its limitations. If you are serious about professional presentations, although fancy-looking, it probably won’t help get the job done. For the geeky users imagining the possibilities with this technology, I’d suggest waiting a bit longer to let this technology bake in the oven before pulling the trigger to buy one. Any chance you guys are going to review the newer AAXA projectors? I’d like to see how they stack up vs the MPro given their higher brightness and resolutions.